HIGHLANDS  The Highlands Little League opened their season Friday night with the 53rd Annual Little League Pageant. The pageant recognizes the fundraising efforts of the teams. Grant Slusser, president of the Highlands Little League, said that they do not receive any outside funding, and that operating expenses are paid through candy sales, BBQ sales, Play Day and the various events hosted by each team. This year the league raised $73,000, Slusser said. The Major Cardinals raised $11,500 earning the Little League crown for their contestant Delila Rubio. Cassandra Weber, with the Major Indians, placed second with $9,700. The Minor II Yankees and contestant Cora Beth Maris came in third with $6,600. Winners in the PeeWee Division were Anna Keyes, 1st; Emilee Ridenour, 2nd and Erin Radle, 3rd. 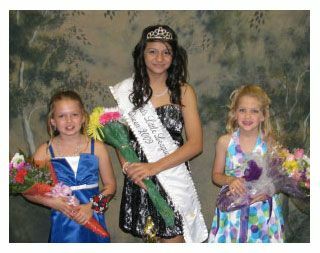 Winners in the Jr., Division were Sadie Aiken, 1st; Schyler Stockwell, 2nd and Weber, 3rd. Winners in the Sr. Division were Makayla Hodes, 1st; Jaclyn Holloway, 2nd and Claire Collins, 3rd. Earlier this year, the league held a Play Day and Home Run Derby. Mickey Masterson announced the winners at the pageant. They were: T-Ball- Clayton Stockwell, 1st and Baryden Murphy and Mikie Binderup, 2nd; Pitching Machine- Brady Pogue, 1st; Adam Quentanilla, 2nd and Brandon Julian, 3rd; 9 & 10 year olds- Mason Pitts, 1st; Michael Sims, 2nd and Jonathan Viel, 3rd and 11& 12 year olds- Ethan Landsford, 1st; Tyler Masterson, 2nd and William Sims, 3rd. HIGHLANDS  Customers of the Foodtown gas station on Main Street in Highlands will have to find a new source for fuel after this week, according to management. 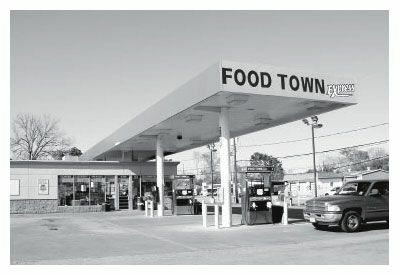 After more than 9 years serving the Highlands community, Foodtown said that it was no longer economically possible to continue operation in the fuel business. In addition, the convenience store connected to the fuel pumps will close. Gerlands Foodtown owner Kevin Doers told the Star-Courier that it would be too expensive to bring the station and its pumps and equipment up to new environmental standards that did not exist when the station opened. The company is also closing the gas station at Foodtown on Uvalde, he said. In Highlands, the space occupied by the station will be converted to much needed parking to serve the main grocery store, Doers said. Of all the 15 stores in the Gerlands chain, sales at the Highlands store is growing at the fastest rate, and the additional parking will help this. 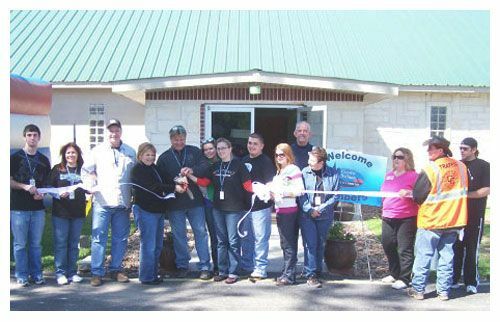 Store manager Raymond Gonzalez was credited with this growth by Doers, who admitted that Gonzalez is a Highlands fixture. Its almost as is Raymond was there first, and the store was built around him, joked Doers. He said the gas station manager, Gary Raska, will remain with the organization at another location. Gerlands Foodtown chain is growing, and plans to open a new store soon in the Webster area.